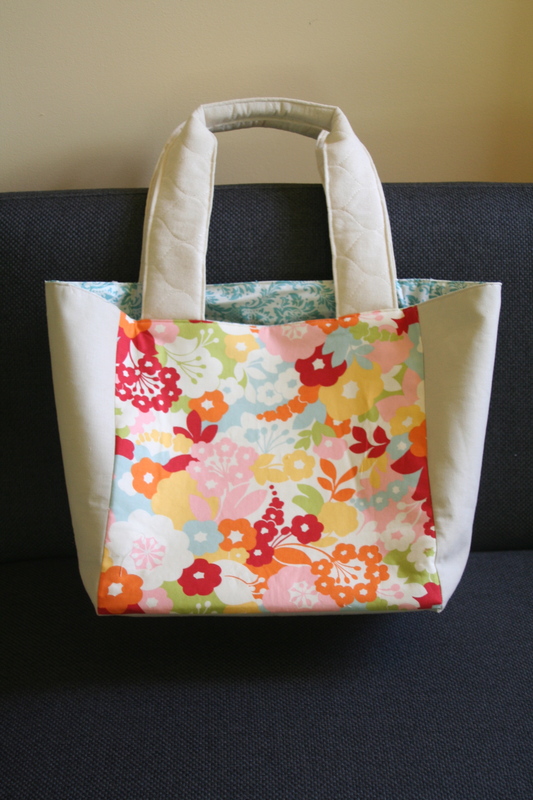 In this post today, I wanted to take some time to fill in how I made the Market tote from the pattern in Patchwork, Please. All the materials here were cut and prepared…ready to start. This project does require quite a bit of fabric. I used approximately $40 to make the bag. All the above pieces were chosen to work with the “quilt as you go piecing” I did for the front exterior pocket (shown below). 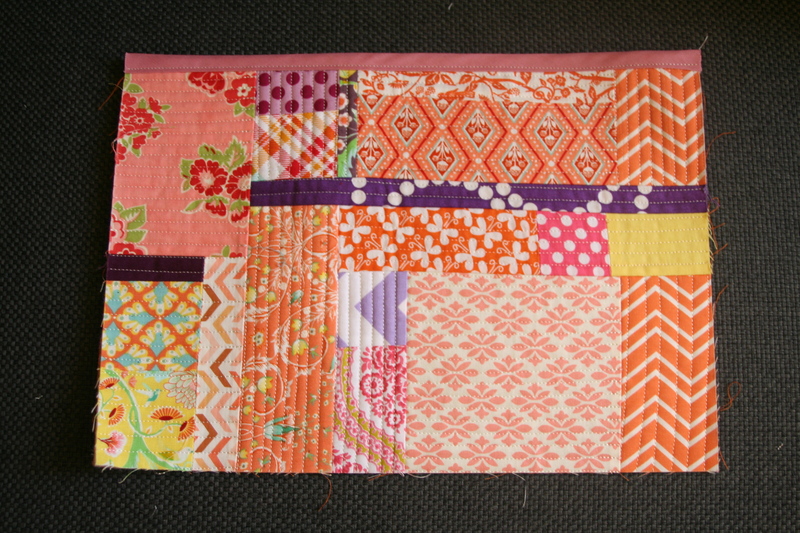 This pieced pocket was completely using scraps from my warm scrap bucket. What is even more impressive, much of this is made from samples I have received when buying fabric or been gifted to me (that is $0). I had no plan when selecting the fabric from my scraps, I just wanted to keep within the same spectrum of color, with a touch of purple. 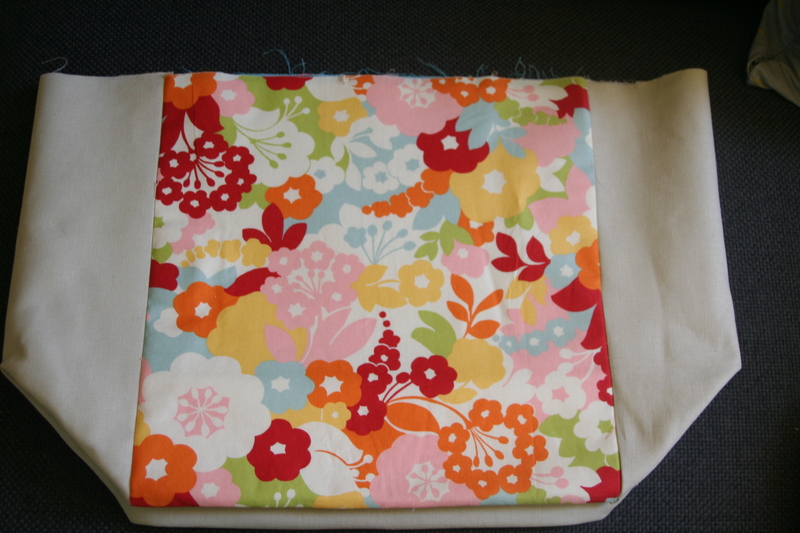 I finished of the panel by adding binding, which was purchased and machine sewn on. I was a little confused by the instructions in the book but I got the general idea and it worked well. Now looking back, it may have simply been to the fact, this was my first bag I had made. 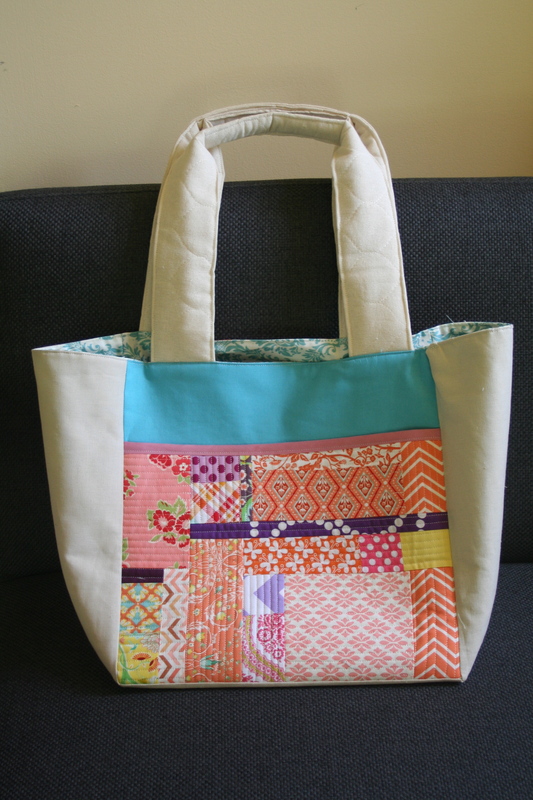 I had a lot of fun making the bag….the actual construction (minus the quilt as you go project) took about two hours. I loved the teal/aqua exterior front solid. 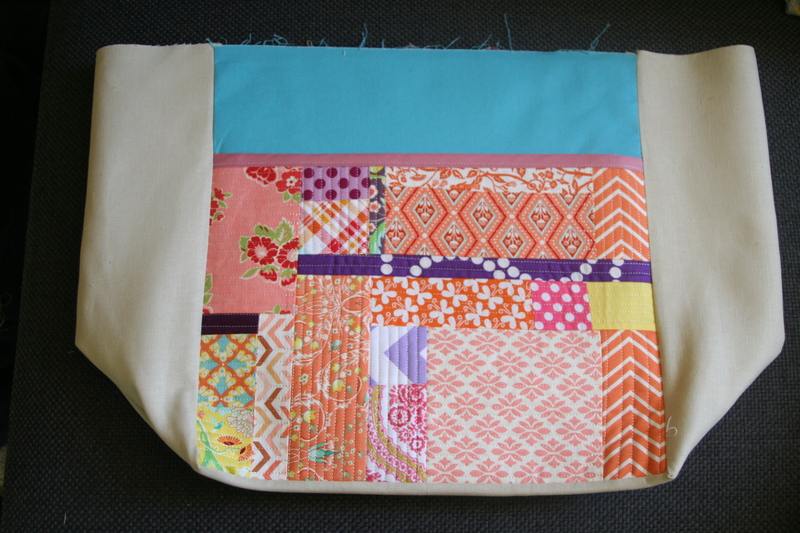 It complemented the front pieced pocket and it keeps with my original design to keep it bright and celebrate Spring. Below are the pictures for the completed front and back exteriors of the back. Note that I only used 1 exterior pocket even though the book makes two. I decided to use an all over print t give enough visual interest…the Oh, deer! fabric was perfect and kept within the color selection I was using. To get to this finished product, I made a couple of changes. The bottom you see is very structured and flat. I used a piece of template plastic which I inserted in under the seam folds, between the exterior and the interior lining before I sewed the bottom of the lining together. The handles are extra padded (at least x2 the requirement in the book), this is due to the fact that I used pre-quilted Osnaburg I purchased from Joann’s. It was a little difficult to topstitch the top part of the handles since it was thick, but my needle (90/14) worked well through the layers for the top-stitching (with a little appropriate handling). 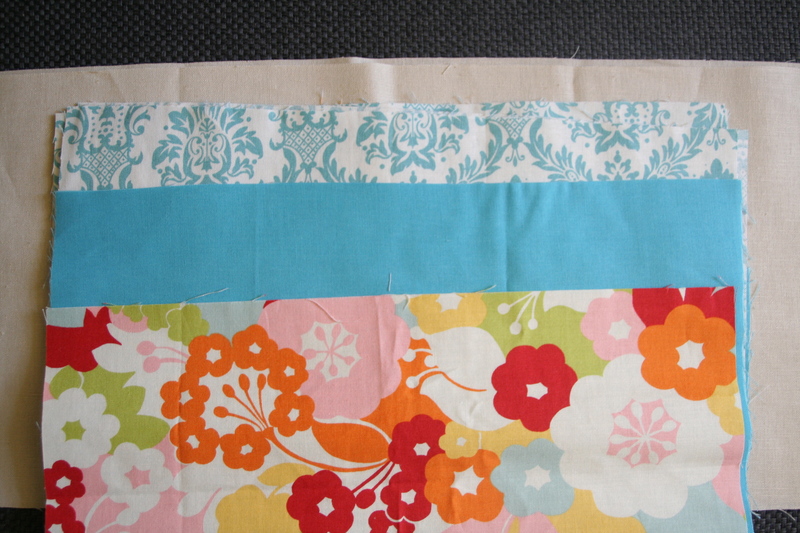 I would recommend pinning the lining and the exterior to ensure the corners align. It will make it much easier. I would definitely recommend making this tote. It was a fun project, in fact, I plan on making one for myself, since I used this one in our swap on Sunday. 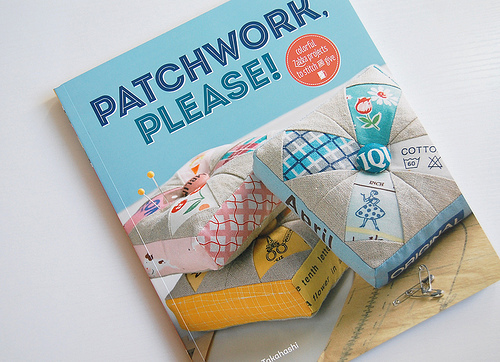 Don’t forget to check out “Zakka Along 2.0::Patchwork, Please” that is starting June 3rd. You can join on flickr here. 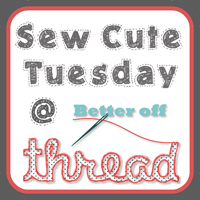 This entry was posted in Uncategorized and tagged bag, fabric, grocery tote, market tote, materials, modifications, patchwork, Patchwork please, quilting, reusable, sewing, style, tote, Zakka Along 2 on April 15, 2013 by mlwilkie. Thank you for sharing details how you went about making this bag! 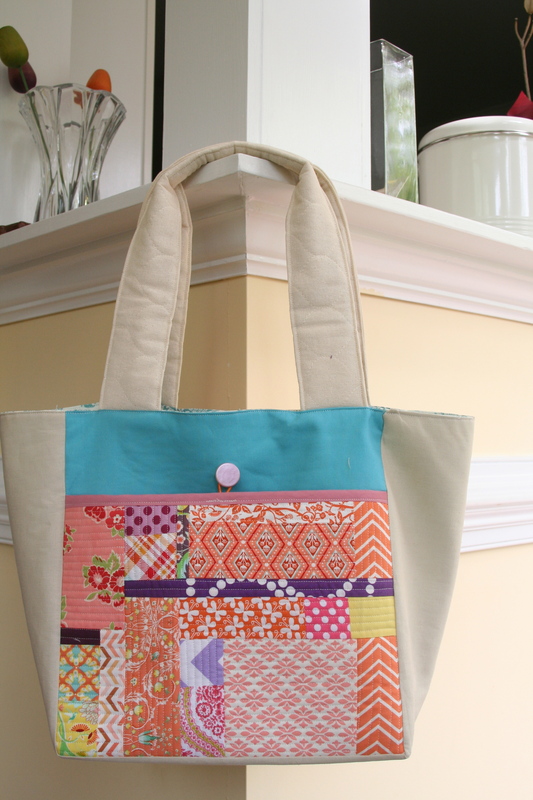 I really like the pocket you made and oh the quilting on the handles add such loveliness to the bag too! Love it! 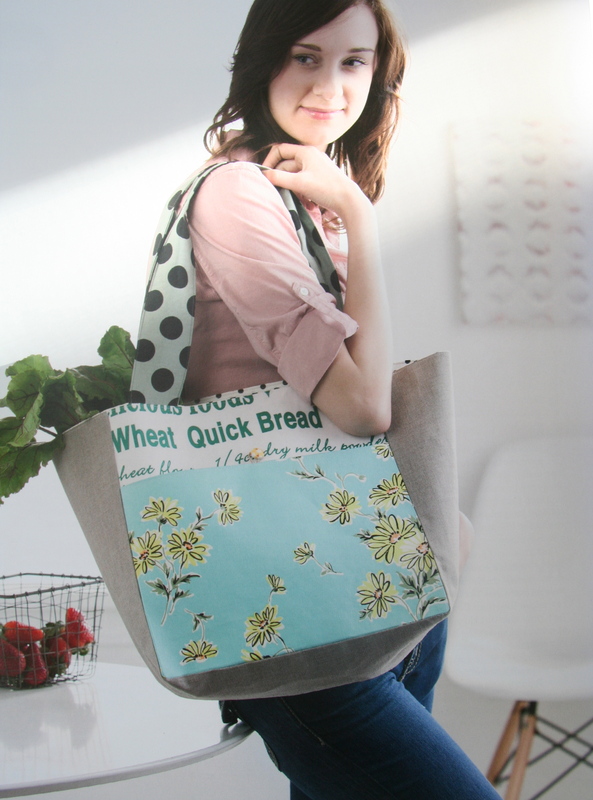 Lovely bag, I think I’m going to have to buy this book! It is totally worth the buy, it is the most I have ever made from a book!!! It turned out great! Love the bright colors with the linen. It was a trade right? Did you get an awesome bag too?